Melissa’s first pilates session was at age 11, at The Australian Ballet School to help with knee pain and alignment. Pilates quickly became a part of her warm up routine, preparing her body for dance and crucial in rehabilitation from injuries. Which included stress fractures, bulged discs and rotator cuff injuries. Melissa holds a Diploma in Professional Pilates Instruction and a Bachelor of Dance, Honours (Victorian College of the Arts). She has enjoyed an extensive career as a professional dancer and teacher. Recently performing in Melbourne’s Dance Massive Festival (dancing on a skateboard), straight off the back of Opera Australia’s ‘The Ring Cycle’. 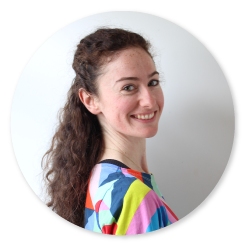 Alongside dance Melissa has taught pilates at Body Focus Osteopathy and In-balance Physiotherapy in Launceston. Body Centre Pilates and Studio 202 in Melbourne and within dance institution’s. Currently staff at The National Theatre Ballet School. Clients include professional dancers, circus artists, athletes, Australian Ballet School and VCA students, and people from all walks of life. Melissa was also a faculty member at National Pilates Training as a Student Clinic Supervisor and Assessor. Mentoring future Pilates instructors. An active member of Pilates Alliance Australasia, she regularly attends international movement research workshops. Recently to NYC with Julliard conditioning coach Irene Dowd.